Google has now offered a look at a previously secret project to develop internet-connected glasses. Google's internet glasses, still in a prototype stage, enables Google take lead in a futuristic fast-growing area known as wearable computing. Google's internet glasses would place a small see through display screen above a person’s eye that can show maps and other data. 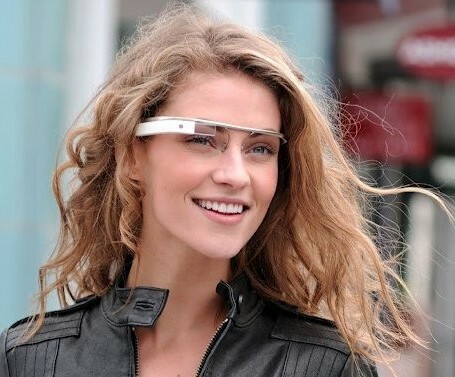 The wearer of Google internet glasses could use voice commands to pull up directions or send a message to a friend. The design prototype Google unveiled looks more like a well-designed pair of wraparound glasses — but with no actual glass in the frames. Google was having its employees test out dozens of other designs, with the goal of giving outsiders access to an early version later this year. It is unclear when the glasses might be commercially available. People who have seen and used working prototypes said there seemed to be a misconception that the glasses would interfere with daily life by bombarding wearers with information and distracting them from the real world. Astro Teller specializes in artificial intelligence and wearable devices. Babak Parviz, who is also an associate professor at the University of Washington, specializes in bionanotechnology, the fusion of biology and technology focused on manipulating atoms and molecules. He most recently built a contact lens with embedded electronics that form a miniature display — raising the possibility that Project Glass, as Google is calling its eyeglass effort, could become Project Contact Lens at some point. Apple is also reportedly working on wearable computers. In April 2008, Apple filed a patent for a headmounted display system that showed glasses with screens. Nike began selling a bracelet called the Fuel-Band earlier this year that tracks a person’s activity. A company called Jawbone sells a similar monitoring device called Up.